I totally want to take a ride in this mech. A common dream for many of us nerds is for stuff we see in sci-fi games or movies to be invented in our world. And recent years have seen it actually happen a few times. Star Trek's communicators kind of work like cell phones, and the iPad bears a striking resemblance to Captain Picard's datapad. But what about being able to ride around in a mechanized walker, like in Star Wars or Mechwarrior? Why haven't we seen the Chevy AT-ST? 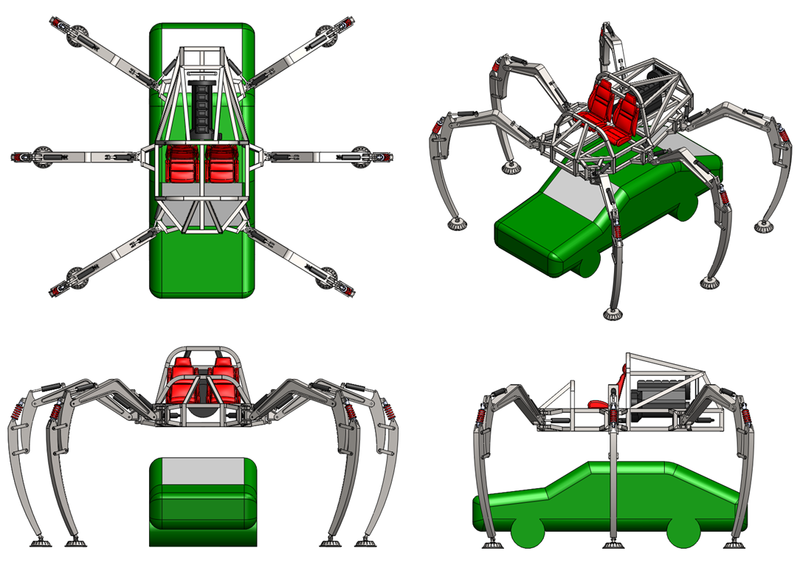 Well, an amateur robotics group in Massachusetts has plans to make a robotic vehicle, a massive six-legged model that's twice the size of a car. They call it Stompy. The website for Project Hexapod details the misadventures of the 19 members of a four-month class - called Robotics Intensive: Rideable Hexapod - to design and build Stompy. The word "class" is kind of a misnomer, as it sounds more like a weekly club using the Artisan's Asylum facility in Somerville, MA, a kind of enclave "promoting the learning and practicing of craft and creative expression." 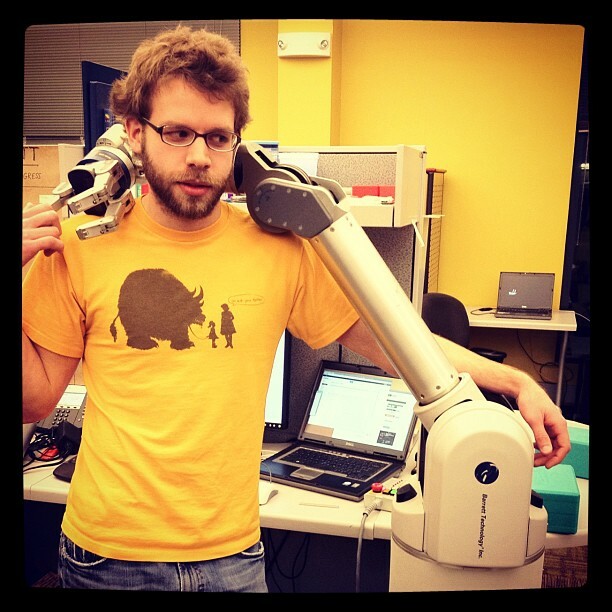 "You may be confused as to how large this robot is," said Cavalcanti. "The distance between the centers of the two middle legs, folks, is currently 17 feet. That's about a lane of traffic ... and a half. 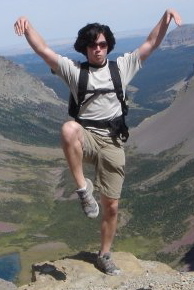 The bottom of the frame is over 6 feet off the ground." 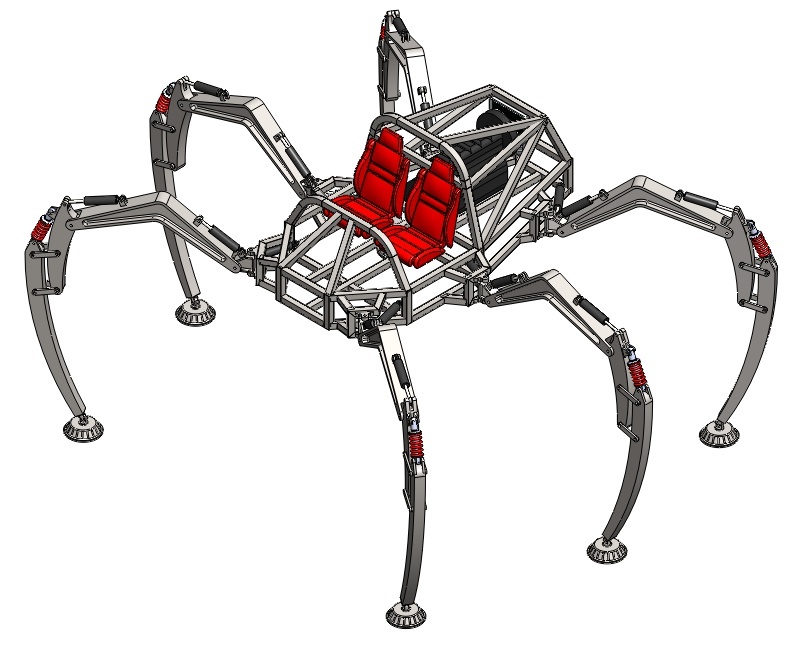 The goal for "the 2,500 pound, 135 horsepower, propane-fueled, hydraulically powered hexapod robot" is to show that building giant robots is simple enough if you break down the process into component parts - and have the project management skills to keep all of the teams working together. "We're here to prove that there's a whole new way of taking on giant, collaborative projects, and we're doing it by building the coolest robot you've ever seen," reads the class description. The class is led by three instructors, each with a different background - Gui Cavalcanti is the engineer and project manager, Dan Cody the programmer and James Whong the electrical engineer. Each of them works in the robotics industry, and love to do nothing more than build giant robots in their spare time. The name "Stompy" was only recently chosen by the class. 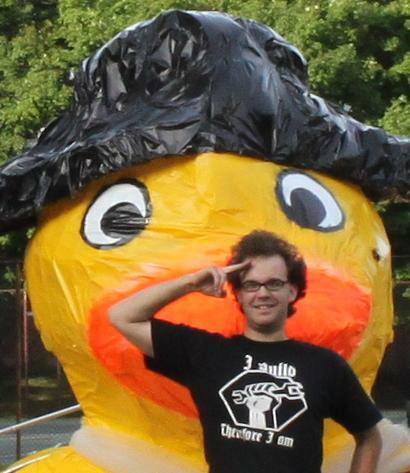 The 18 voting members were split almost evenly, with 10 votes going to Stompy and the other eight voting for the name "Fluffy". "Stompy seemed more unique and somehow more appropriate, though," Cavalcanti said, but I personally think Fluffy would have been hilarious. I hope they worked out all the bugs first! its going to be as slow as all buggery, deafeningly loud and very unstable on rough terrain plus i dont see any chain guns or missile launchers. And this is how NOD became a real thing in the world. Wow... That looks like it'll be EXTREMELY uncomfortable to ride in. 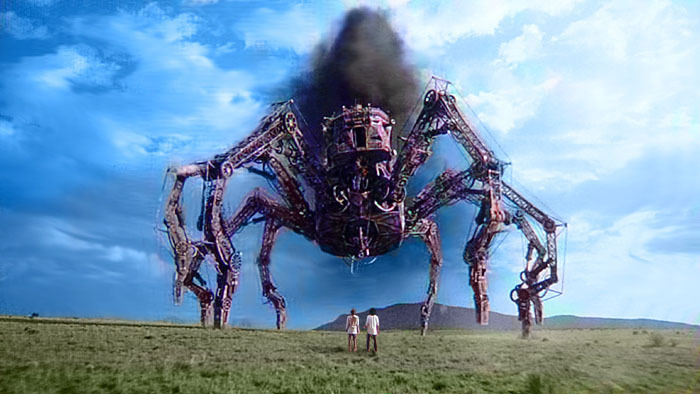 As long as this doesn't attract giant space spiders to earth, seems like a cool idea. They should give it that same Steam punk look the one fron Wild Wild West has. Burn the heretics. They're building a Chaos Defiler. Needs more miniguns and death lasers, apart from that do want! But the fact that something likely to be much more impressive than the eventual result of this project was demonstrated six years ago deflates the excitement for me. Given the description of Stompy's specs, he's going to be twice as wide and much farther off the ground than Timberjack, so I wouldn't write it off just yet. I think that's only a matter of time before the sharks get a hold of this technology and enslave us all. According to DoW every killakan ever made was nicknamed stompy, anyway Crush,kill,stomp. Really? Slow and loud is quite likely. But a six-legged walking robot is clearly based off an insect model. And insects, are for their size one of the fastest and most stable walking configurations seen in nature. This robot could be pretty unstable depending on how it functions, but 6 legs is a particularly stable configuration because it means 3 legs can be on the ground at any one time, while the other 3 are being repositioned, so at no point do you ever get dynamic balance issues. In principle if the legs are individually adjustable it should be able to deal with very rough terrain quite well too. But that does lead to some complex control issues in keeping the legs level. For as mind-meltingly awesome as this is, I can't wait until they start selling smaller 1-man models so I can ride one around town, laughing maniacally at the unwashed peasants below... alone. We're one step closer to them, and as soon as they go bi-pedal methinks i'll pick one of those bad-boys up!...Ah, who am i kidding, I'd buy one of these if i could!